Buenos Aires (AFP) - An Argentine prosecutor was found dead just hours before giving what was expected to be damning testimony against President Cristina Kirchner, in what appears to have been a suicide, officials said. 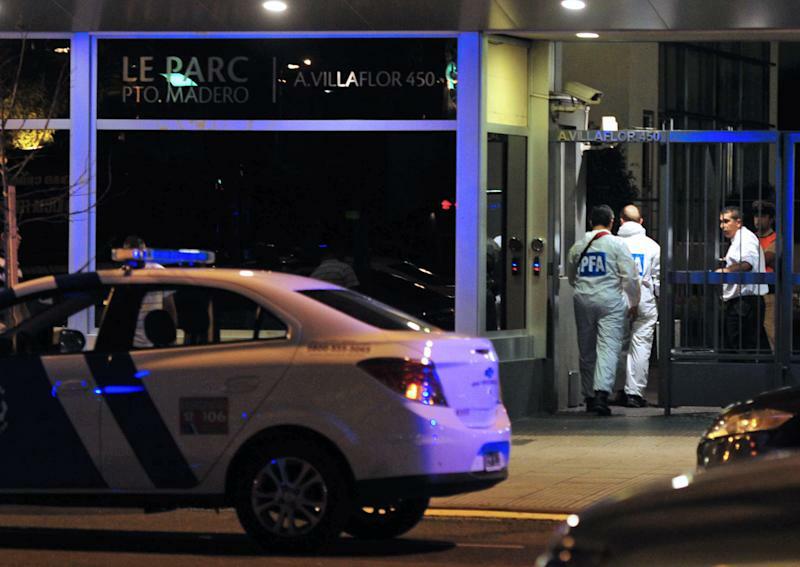 The body of Alberto Nisman, 51, who had received threats, was found overnight in his 13th-floor apartment in the upscale Puerto Madero waterfront neighborhood of the capital Buenos Aires. "All signs point to suicide," said Public Safety Secretary Sergio Berni, an assertion backed up by initial forensic findings. Federal prosecutor Viviana Fein said Nisman died of "a gunshot wound to the temple" and "there was no role of additional parties (in the death)." However, there was no suicide note or witnesses, Fein added, calling for "caution," while the leader of one opposition party called it "an assassination." Investigators should look at whether Nisman was under pressure from anybody, and to whom the gun belonged, local media reports quoted Fein as saying. The weapon was not Nisman's, the reports said. Nisman, who had accused Kirchner of obstructing an investigation into a 1994 Jewish center bombing, was due to testify at a congressional hearing on Monday to provide evidence of his claims. Since 2004 he had been investigating the van bombing of the Argentine Jewish Charities Federation, or AMIA, which left 85 people dead and 300 others wounded in the worst attack of its kind in the South American country. Kirchner, who has denied the accusation, released a statement ordering the declassification of intelligence information Nisman had sought a week ago. Meanwhile, several thousand protesters mobilized downtown in front of the presidential palace and Buenos Aires Cathedral, demanding an explanation for Nisman's death. Clapping and shouting "killer" the demonstrators held banners reading "justice" and "killed for investigating," as well as "Yo soy Nisman," a take on the "Je Suis Charlie" slogan that appeared after Paris attacks that included the Charlie Hebdo satirical magazine. 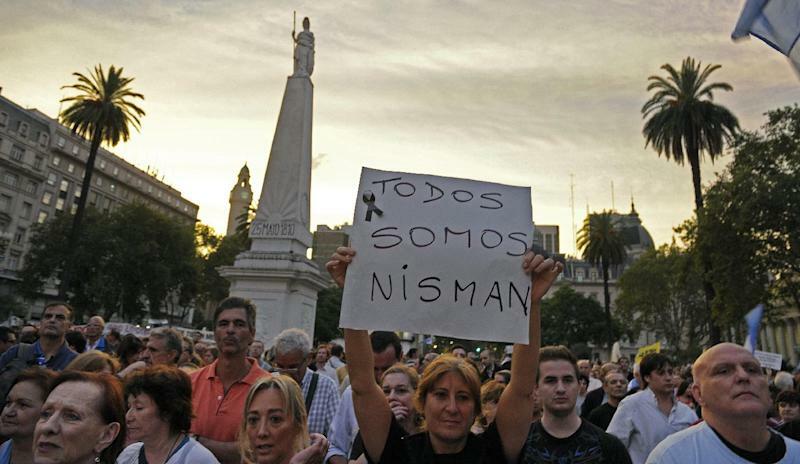 "I am here to seek justice for Nisman, so that we get to the truth about what happened to this man," Carolina Arias, 31, told AFP. In Uruguay, some 500 Argentines demonstrated in the beach resort city of Punta del Este, singing the Argentine national anthem and cutting off part of the town's main promenade. Israel meanwhile expressed sorrow over Nisman's death, praising him as a courageous jurist who "worked with great determination to expose the attack's perpetrators and dispatchers." Officials said a .22-caliber handgun was found beside Nisman's body, which was discovered by his mother in the bathroom of his apartment after his security detail was unable to contact him. Nisman had also been expected to lodge accusations against Kirchner's foreign minister Hector Timerman. The prosecutor had accused Iran of being behind the attack and said Kirchner hampered the inquiry to curry favor with the Islamic republic and gain access to its oil. Nisman had also accused former president Carlos Menem (1989-99) of helping obstruct the investigation into the bombing, which has never been solved. Since 2006, Argentine courts have demanded the extradition of eight Iranians, including former president Akbar Hashemi Rafsanjani, over the bombing. Argentina charges that Hezbollah, the Lebanese Shiite movement, carried out the attack under orders from Iran, which Tehran denies. Nisman had said that he had phone recordings that allegedly show the Kirchner government and Argentine authorities had bowed to Iranian demands after Tehran dangled lucrative commercial contracts. Nisman was supposed to present proof of his allegations that Kirchner and Timerman had a "plan of impunity" to "protect the Iranian fugitives." He had also ordered the freezing of assets worth some $23 million of Kirchner, Timerman and other officials. Opposition lawmaker Patricia Bullrich said she was shocked by Nisman's death, calling it "a grave affront to the country's institutions." Bullrich said she had spoken to Nisman on the phone on Saturday on three occasions and he said that he had received several threats. Elisa Carrio, leader of the Civic Coalition, an opposition party, bluntly called Nisman's death "an assassination," saying she did not accept that it was a suicide. In 2013, Argentina's Congress approved, at the request of the executive branch, an agreement with Tehran to form a truth commission to investigate the bombing, consisting of five members from neither Argentina nor Iran. 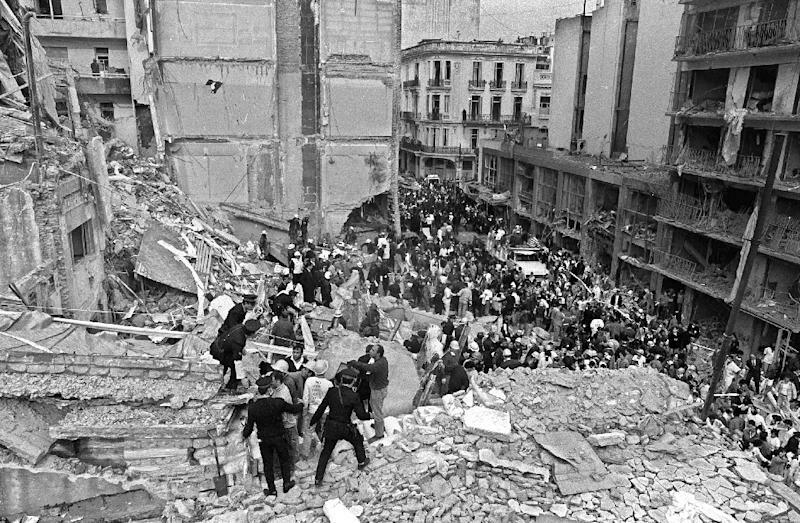 The Jewish center bombing came two years after an attack against the Israeli embassy in Buenos Aires that killed 29 people. Argentina's Jewish community of about 300,000 people is the largest in Latin America.